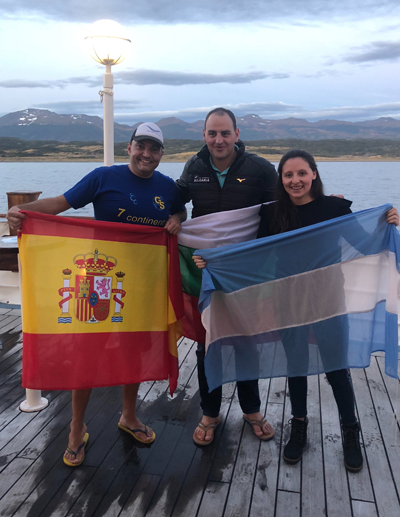 In 2018, AGUA Masters swimmer Diego Lopez set an extraordinary goal for himself: attempt the Continents Seven, which involves completing the most difficult open water swims in each continent in a single year. The feat is unthinkable for even the most experienced swimmers. 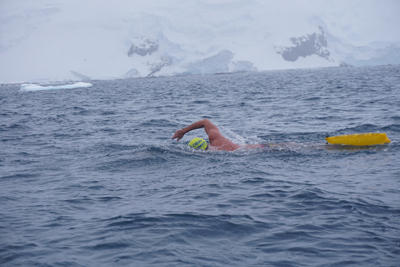 The Continents Seven culminated with a swim in the icy waters of Antarctica. When Diego crossed the final finish line in November, he became the first person in the world to complete all major swims in a calendar year. Growing up on the Canary Islands, Diego was always surrounded by water and developed a passion for swimming at a young age. He was introduced to open water swimming while living in Hong Kong in 2011. As he started swimming longer and more difficult distances with a group, he started thinking about bigger goals for himself. Finally, the idea for the Continents Seven was born. 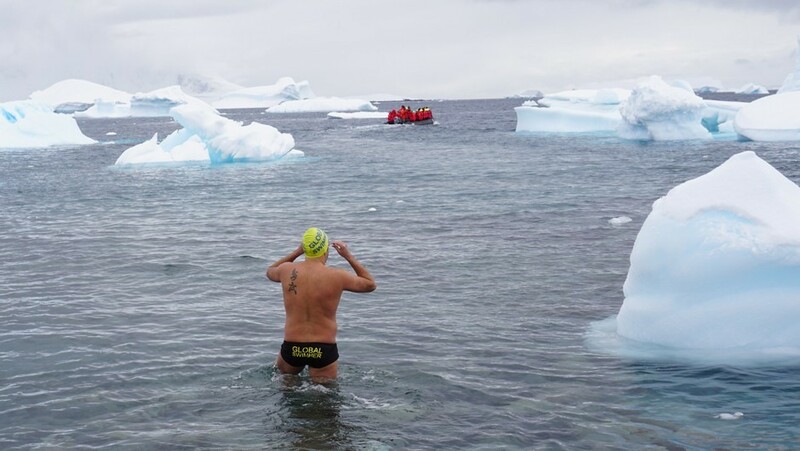 To prepare for Antarctica, Diego intentionally selected the most difficult swims around world, and each presented different challenges. He faced choppy waters and high winds in Australia, swimming alongside great white sharks in South Africa, and high altitudes in South America. To acclimate to swimming in freezing temperatures he took cold showers, ice baths, and swam year round at Brighton Beach and Coney Island. Throughout his journey, he partnered with a nonprofit to raise awareness about plastic pollution in oceans. On the day of the Antarctica swim in November, the conditions were terrible. It was snowing, windy, and the water temperature was 29 degrees. Diego vividly remembers the moments before he jumped into the freezing water. "The moment the race director shouted, 'Swimmers, take off your clothes,' we looked at each other like, 'What? This is happening,'" Diego says. "Then it was time to get up and go." Your body goes numb quickly in icy waters. Diego was swimming by relying on muscle memory. He bumped into ice bergs but didn't feel it. To stay calm, he reminded himself that the sensation was normal. "All my thoughts were focused on saying to my body, 'OK, this is normal. You don't feel your hands, legs, but you've experienced this before. This is fine, stay focused, and keep swimming,'" he recalls. Despite the less-than-favorable conditions, Diego finished the race. "At first I was super happy. My adrenaline and endorphins were in the clouds," he says. After the initial high, the process of recovery quickly began. His body temperature was 87.8 degrees. Medical experts brought him to a sauna, and it took about an hour to feel normal again. He celebrated with a burger, steak, and a few beers before reflecting on his accomplishment. "Swimming teaches me so much about life," Diego says. "I always think my life is like a long open water swim. There are always going to be sharks, things coming after you, but you don't lower your hand. You keep swimming."